Are you a MoD Design Guru lover? 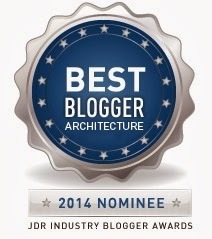 We have been nominated as Best Blogger in the 2014 JDR Industry Blogger Awards! Voting is now open. 2. Look for MoD Design Guru under Best Blogger Architecture. 3. Check dot in the circle and click VOTE.